On the evening of Tuesday, October 25th, 2016 the Michigan Floral Foundation (MFF) honored Mr. Del Demaree, Jr., AAF with induction into its Hall of Fame. The special event was held at the University Club of Michigan State University in E. Lansing, MI. The MFF would like to congratulate Mr. Demaree on his successful career and service to our industry and his induction in the MFF Hall of Fame! Del Demaree, Jr., AAF, is a second-generation owner who took his family business, Syndicate Sales, to new heights. In 1967 he became president of the company, which took off due to his vision and entrepreneurial drive. By this time, products such as the Aquapic, the Design Bowl and Everlastin’ Baskets were three widely used staples. In 1968 he introduced Fronzwood containers, the Candelite Cardette and Hoosier Glass. In 1981, the company unveiled a full line of wedding products, and in 1994 began offering floral preservatives and foam, Aquaplus and Aquafoam. Syndicate was the first company to use barcode shipping to add a new level of transparency and accountability into the supply chain. He also pushed Syndicate to become among the first in the industry to implement online ordering. He has an unsurpassed commitment to the floral industry and to the American Floral Endowment. 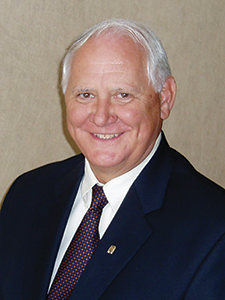 He has led many industry organizations, notably as SAF president and as treasurer for the Wholesale Florist & Florist Supplier Association. He received the American Institute of Floral Designers Award of Merit, WF&FSA’s Leland T. Kintzele Distinguished Service Award and was named the MFA Wholesaler Tradesman of the Year.